A workshop that gives hands-on experience in soy candle making and pouring. Every attendee will choose scents, blend, pour, and ultimately take home their own candle. This could be the birth of a new hobby! 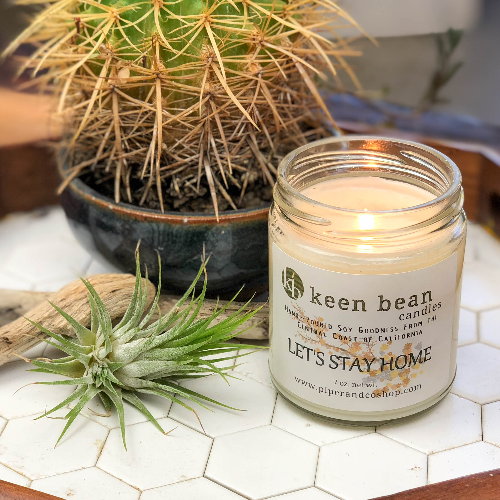 We are so very excited to welcome Keen Bean Candles to the Zest Studio for a Tuesday night workshop! Come and spend a cozy autumn evening with us. We will absolutely have yummy eats and some hot tea to accompany our candle making session. Your ticket includes a two hour instruction with hands on learning. Each guest will be able to choose from a variety of beautiful scents as they create their very own 7 oz hand poured candle to take home. This is a chance to learn about the this age-old craft, and experience working with quality ingredients like soy and essential oils. It is the perfect timing to jump on learning something new, and perhaps make gifts for everyone on you list as you discover a new hobby! Candle aromas, soy wax, 7 oz glass jar, all supplies needed, Zesty nibbles for snacking as we learn, and non-alcoholic beverages. BYOB is welcome!